This documentary for PBS by award-winning filmmaker David Grubin and narrated by Richard Gere, tells the story of the Buddha’s life, a journey especially relevant to our own bewildering times of violent change and spiritual confusion. 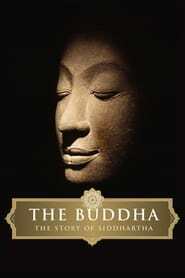 It features the work of some of the world’s greatest artists and sculptors, who across two millennia, have depicted the Buddha’s life in art rich in beauty and complexity. Hear insights into the ancient narrative by contemporary Buddhists, including Pulitzer Prize winning poet W.S. Merwin and His Holiness the Dalai Lama. Join the conversation and learn more about meditation, the history of Buddhism, and how to incorporate the Buddha’s teachings on compassion and mindfulness into daily life.